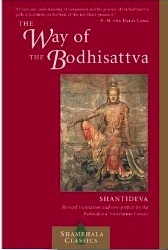 The Way of the Boddhisattva, referred to as the Bodhicaryavatara or Bodhisattvacharyavatara, is a classic Mahayana text written in the eighth century by Shantideva, a monk at the famous Buddhist university Nalanda in India. It is a practice text, designed to guide one through the stages of Mahayana practice, and the development of bodhicitta (the 'mind of enlightenment', or 'awakening mind.') 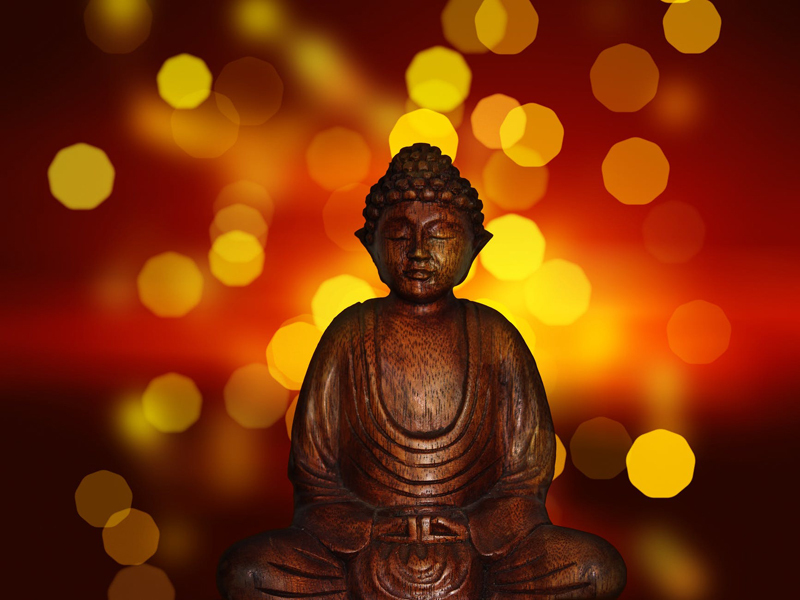 It is considered one of the best expressions of the Madhyamika, or 'wisdom tradition', school of Buddhism, and is particularly honored within Tibetan Buddhism. The Dalai Lama has said, "If I have any understanding of compassion and the bodhisattva path, it all comes from studying this text." The Way of the Bodhisattva contains 10 chapters, and is often considered to have three main sections. The first three chapters focus on awakening bodhicitta in the mind, including purifying one's mind of negativity, and cultivating motivation to awaken for the sake of others. The next three chapters offer instructions on how to maintain bodhicitta, including how to cultivate conscientiousness, vigilance, and patience in both thought and action. This is followed by three chapters focused on deepening bodhicitta, including through meditation and the wisdom of emptiness, or ultimate bodhicitta. The tenth and final chapter is a prayer of dedication. These thoughts form the basis for practice, Shantideva tells us, as we seek to practice in order to strengthen the roots of these thoughts within our mind, while we also work to weed out negative, ego-based thoughts. Through cultivating the true wish for others’ happiness and awakening, we in fact awaken it within ourselves. This is part of the 'relative' level of bodhicitta - the level on which we seek to both think and act for the welfare of others. 'Ultimate' bodhicitta is the topic of the next chapter, Wisdom, and forms the basis for what is often called the wisdom tradition. Ultimate bodhicitta is the wisdom of emptiness that transcends philosophy – the realization of the non-dual nature of all that is. When we abide in ultimate bodhicitta, our compassion arises from true understanding that all that happens to us happens to all, and visa versa. From the perspective of ultimate bodhicitta, all truly is one, and we no longer need to 'weed' our mind, because everything that arises from our realization is naturally in alignment. The compassion that expresses itself through us is grounded in our knowledge of emptiness – the essential sameness of us all. For intellect is said to be the relative.